IBM Research– Africa is IBM’s 12th global research lab and the first industrial research facility on the continent of Africa. With facilities in Kenya and South Africa, IBM Research– Africa is driving innovation by developing commercially-viable solutions to transform lives and spark new business opportunities in key areas such as water, agriculture, transportation, healthcare, financial inclusion, education, energy, security and e-government. IBM Research– Africa is actively engaging with Africa’s innovation ecosystem to kick start new business opportunities and ensure the full commercial viability of its solutions and services. Entrepreneurs, developers and business partners are a key part of IBM’s research programs and go-to-market strategy in Africa. Students fall behind for all kinds of reasons. Poor attendance. Problems at home. Sometimes it’s where they’re sitting in class. In Africa’s poorer regions, there are even more factors to consider, from a lack of books to inadequate electricity. IBM Research - Africa is working with experts from RTI International to use cognitive and mobile technologies to help identify which Kenyan schools are most at risk to fail. This first-of-its-kind initiative is capturing data on everything from class size and grades to school facilities, resources and even sanitation. In a separate project, IBM scientists are working with schools in Nairobi to explore how technology can help personalize the learning experience in classrooms. Our technology and education podcast reveals how these programs could become a model for schools everywhere. 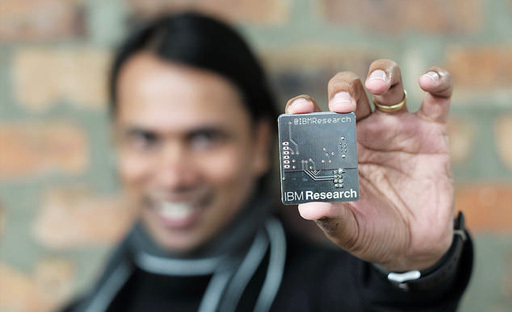 Toby Kurien, an electronics engineer, at IBM Research – Africa. He is using smart sensors and IBM analytics to demonstrate how communicable diseases, such as tuberclulois can, can spread. This will help healthcare organizations to develop prevention strategies, enable public health officials respond effectively, and hospitals prepare for emergencies. The Data-Driven Healthcare team is developing computational platforms for mining heterogeneous biological and medical data to change the way we prevent, diagnose, treat and manage disease. The research in this team is currently focused on two disease areas: Tuberculosis + HIV and cancer, where we apply methods and models from fields such as natural language understanding, image understanding and bioinformatics. The impact of our research is demonstrated by the invitation of our team members to present their work at world-class scientific meetings and coverage of our work in both local and international media. In 2018 the, Square Kilometre Array (SKA), the world’s largest radio telescope, will be built in South Africa and Australia. IBM scientists are collaborating with SKA South Africa (SKA-SA) on the development of unsupervised algorithms which can serendipitously make groundbreaking astronomical discoveries by revealing hidden structures and finding new types of objects such as pulsars, black holes and quasars. Scientists expect to eventually apply the cognitive technology to other applications including the development of new pharmaceuticals and genomics. IBM and SKA-SA have signed an agreement to explore the advancement of this technology and to lead major knowledge development in data science over the next decade. 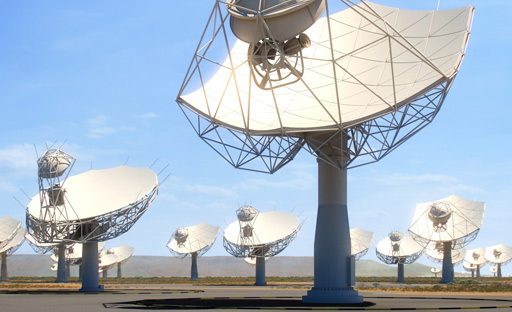 IBM scientists in South Africa are joining NASA, the SETI Institute and Swinburne University to develop an Apache Spark application to analyze the 168 million radio events detected over the past 10 years by the Allen Telescope Array (ATA). The complex nature of the data demands sophisticated mathematical models to tease out faint signals, and machine learning algorithms to separate terrestrial interference from true signals of interest. These requirements are well suited to the scalable in-memory capabilities offered by Apache Spark when combined with the Big Data capabilities of the IBM Cloud and IBM Bluemix Spark. The Advanced and Applied Artificial Intelligence (AAAI) team focuses on making scientific contributions to AI algorithms, and applying AI to address real-world problems. Our current research topics cover the areas of computer vision, natural language understanding, sequence modelling, semi-supervised learning, and explainability. We explore techniques such as generative adversarial networks (GANs), convolutional neural networks (CNNs) and recurrent neural networks (RNNs). Outputs of our work include research papers, proof of concepts and patents.